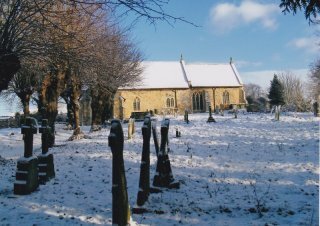 St Michael & All Angels church boasts Saxon origins, medieval additions and Victorian refurbishments. Through significant fund raising over the years the church has been transformed into a building to be accessible by all villagers whether for spiritual, historic or community purposes. There are several roles that may interest you such as helping with fundraising events or contributing financially on a regular basis. If you have any ideas or experience in how this group could achieve its own goal of supporting St Michael & All Angels Church then we would be very pleased to hear from you. Contact us to get involved or find out more by clicking here. Anyone is warmly invited to join Andrew for the prayers at the churches, or along the way, as he runs with a cross round the 4 parish churches of the benefice, Mon-Fri during Holy Week. During the final week of Lent (Monday 15 – Friday 19 April), the Revd Andrew North will be running a loop between each of the Mulbarton Group of churches carrying a large cross; pausing briefly at each church to pray. Revd Andrew will also be raising money for the charity, Combat Stress. 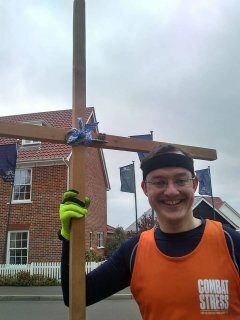 "I recently saw an article about suicide rates in Veterans and whilst running I realised, as people were looking at me strangely carrying this cross, that for many Veterans the burden of their cross is too much too bear and that theirs, unlike mine, is invisible. As a former serviceman, this is a topic dear to my heart and I would therefore like to raise money to support them."